Question: What would your first course of action be if the rocket went of course? Asked by Sam to COLFlight on 16 Oct 2015. As a matter of fact, this is a small rocket with very strong thrust that, if there is some failure with the rocket, pulls out very quickly only the spacecraft where the astronauts are and saves them. 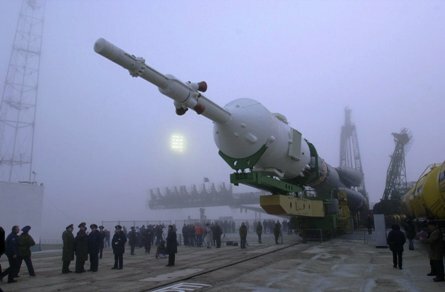 That rocket is small, so it can’t be used to arrive in space, it will only burn for few seconds and then, when the astronauts spacecraft is at a safe distance from the failing rocket, the parachutes will open and they will return safely to ground. In histrory, it happened only two times that such escape tower was used, and in both occasions it save the astronauts! Is there a possibility that something could go wrong on this trip? how big is rocket ship? Roughly, how much fuel does a rocket need to be able to stay in space for a decent amount of time? what type of metal is a rocket made of? How long does it take from designing to launching to make a rocket? What accidental problems have you faced during training? Have any been life threatening? Could we live in a giant rocket like in WALL-E if we had too?